Melbourne trombonist and improvising musician, Josh Bennier, is excited to release his first sextet album entitled ‘To The Bone’ under his own label ‘Static Records’. The Josh Bennier Sextet have been playing together for the past 3 years, primarily at the well known Melbourne venue ‘Uptown Jazz Cafe’. The album combines modern jazz with ideas idiomatic of the Australian improvising sound. The album features compositions from Josh Bennier, while also including compositions from Reuben Lewis, Josh Kelly and Patrick Fitzgerald. The Josh Bennier Sextet is proud to be releasing the album with a tour to the Blue Mountains, Sydney, Newcastle, Canberra and Melbourne. Josh will be joined by Josh Kelly (Alto Saxophone), Tom Avgenicos (Trumpet), Kade Brown (Piano), Paddy Fitzgerald (Double Bass) and Luke Andresen (Drums). Josh Bennier is quickly establishing a name for himself as part of Melbourne’s improvising scene. Josh was awarded Monash Jazz Composition Prize in 2017 and has been nominated for the Sir Zelman Cowen Vice-Chancellor's scholarship twice. He was also a semi-finalist in the 2017 National Jazz Awards at Wangaratta Jazz Festival. 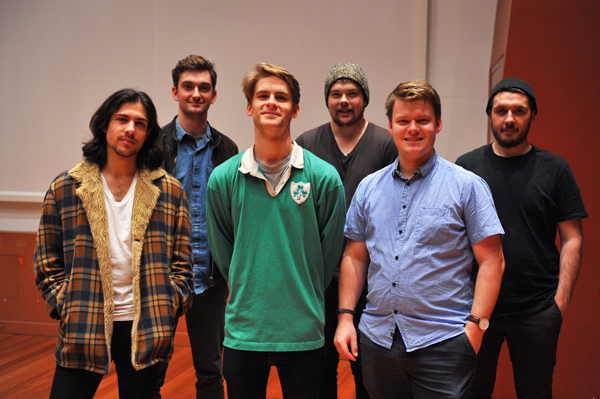 Josh also spent two weeks in Tarraleah in 2017 taking part in the Australian Art Orchestras Creative Music Intensive, working with international artists such as Bae Il Dong and Sunny Kim. Whilst the Josh Bennier Sextet is currently his main outfit, his other projects include the 'Pure Element Group', a 5 piece contemporary ensemble featuring local Melbourne musicians and 'Josh Bennier's Modular Group', focusing on through-composed art music drawing inspiration from the jazz idiom. He has also been working on a series of trombone/guitar duet albums over the last two years. He has been lucky enough to perform and record with many musicians including Joe Lovano, Tomasz Stanko, Ben Monder, Mike Nock, Tony Gould, Paul Grabowsky, Barney McAll, Paul Williamson, Shannon Barnett, Stefan Schmid, Ed Partyka and David & Daniel Wilfred. Josh was privileged enough to record on 2016 Bell Award winner Niran Dasika's project in collaboration with renowned composer Matuesz Gwizdalla entitled 'Silver Letters'.